From the country that brought us Kiko Cosmetics comes another awesome cosmetics brand straight from Naples named Anika Makeup. I came across this small brand by chance at the Airport coming home and thought I’d take a quick look at what they had, something I’m very glad I did as it led me to the gorgeous powders you see before you. I was debating whether to blog about these as unfortunately, they are only available in Italy with no links to ship internationally online (believe me, I’ve been searching!). 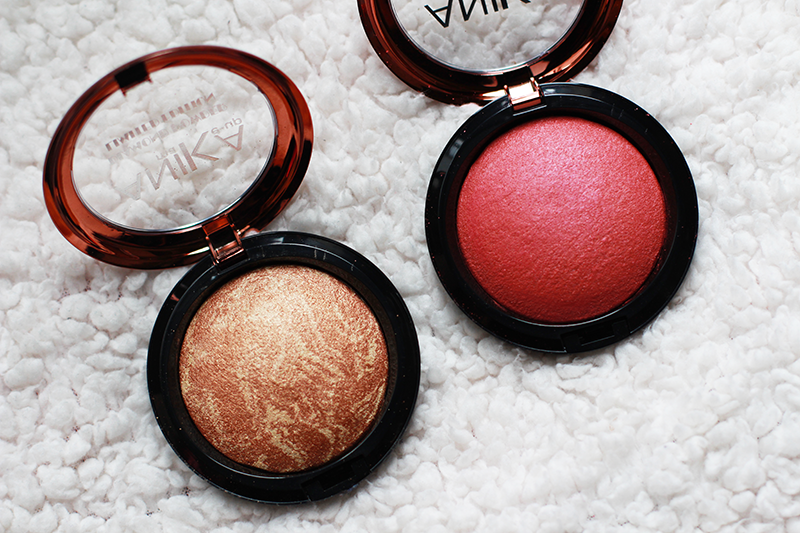 I thought I’d whip up a blog post anyway seeing as these products are too pretty to pass up! I picked up the Diamond Powder (left) and Terracotta Blush (right) and both came in at around 7 Euros each. 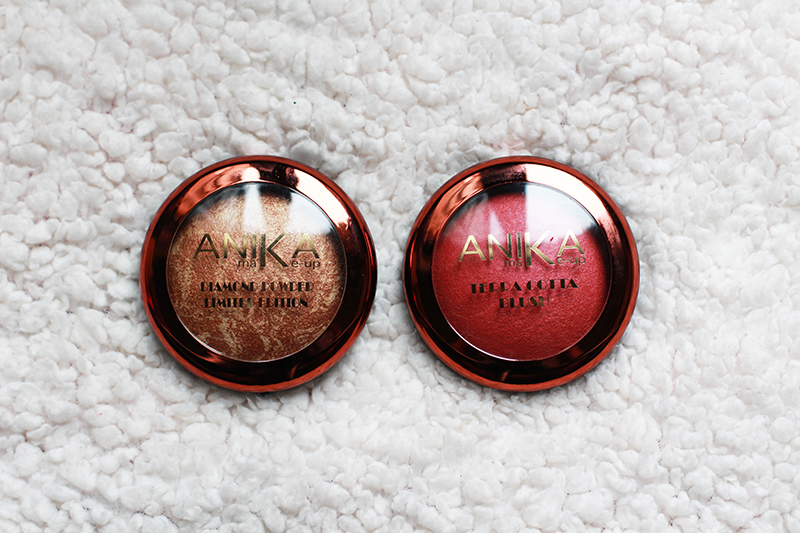 They are both baked powders that are rich in pigmentation and give off a gorgeous glow! The Diamond Powder could be compared to MAC’s Gold Deposit or Makeup Revolution’s Vivid Baked Bronzer and is very finely milled and velvety to the touch., almost creamy. It applies like a dream and blends in effortlessly, as does the Terracotta blush! It’s such a shame that these aren’t available in the UK as I think they would be flying off the shelves at this point. I browsed through a few of the brand’s other items such as the mascaras and lipsticks, however the blushes and bronzers were definitely the best of the bunch. If you’re ever in Naples or Italy in general, be sure to look out for the brand, as you won’t be disappointed. Roll on summer so I can use that bronzer!! Previous Post Thoughts | You Deserve.